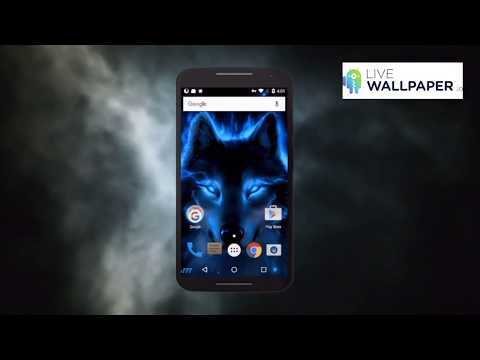 Glowing wolf live wallpaper for android is a cool looking app and people love it! It shows a fantasy wolf covered with a blue fire. The fur and flames give the feeling of a neon wallpaper for phone. If you're looking for a live wallpaper free - this animal wallpaper will provide you screen that moves with the effect of a lighting on the wolf. People say this wallpaper is awesome, why don't you check this out if you like wolf images? Make your phone screen look like a living object – the animation has a fantastic effect. You shouldn’t hesitate – just take a look and install this live wallpaper. Works with every phone, based on gif image, suitable for kids. We have a large variety of cool wallpapers and cool backgrounds in our portfolio. Just browse through our live wallpaper apps. Dozens of live wallpapers free are available for download! Fixed crash when using some filters.